Starring: Kurt Russell, Wilford Brimley, Richard Dysart, Keith David, Richard Masur, Donald Moffat, T.K. Carter, David Clennon, Thomas Waites, Larry Franco. During the 1980’s John Carpenter was one of the finest directors working in movies. He was a craftsman with wonderfully inventive ideas and abilities. 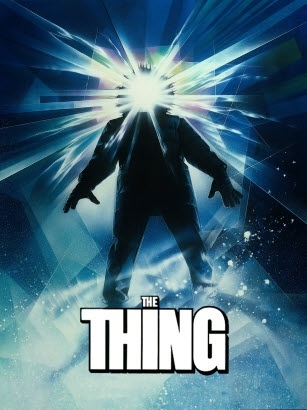 With “The Thing” he delivered his finest moment in showing how a horror film should be made. An American scientific expedition to the frozen wastes of the Antarctic is interrupted by a group of seemingly mad Norwegians pursuing and shooting a dog. The dog survives but the scientists soon wish they hadn’t taken it in as it’s been taken over by a deadly alien entity who can take the shape of any being it wants, leaving the scientists fighting for their lives against an unknown enemy. A masterpiece in suspense and one of the finest horror films ever made. When John Carpenter was in his prime, no-one came close to his unrelenting horror genius and this is him at his very best. He wasn’t a director to just go for cheap shocks or scares. He liked to use pychological devices for his horror films, to make them more effective and get into the psyche of his viewers. The exchange of bodily fluid in “Prince Of Darkness” was AIDS. 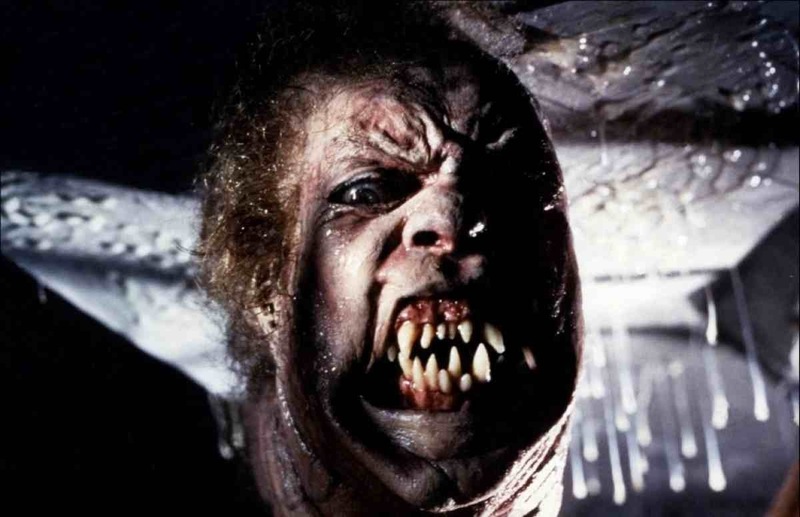 With “The Thing” it was cancer, hence the shifting, growth and metaphorphosis, perfectly captured in Rob Bottin’s special effects – which still hold up to this day. The tension and distrust between the characters is physically and nervously played out, with Carpenter wringing out a masterclass of paranoia. The atmosphere is unbearably taut, helped no-end by Ennio Morricone’s fantasticaly creepy and unsettling score. Unfortunately, John Carpenter doesn’t produce the quality he once did anymore but this has stood the test of time and is, quite simply, one of the best of it’s kind. This entry was posted on January 25, 2012 at 9:40 pm and is filed under Horror, Science Fiction with tags 1982. You can follow any responses to this entry through the RSS 2.0 feed. You can leave a response, or trackback from your own site.